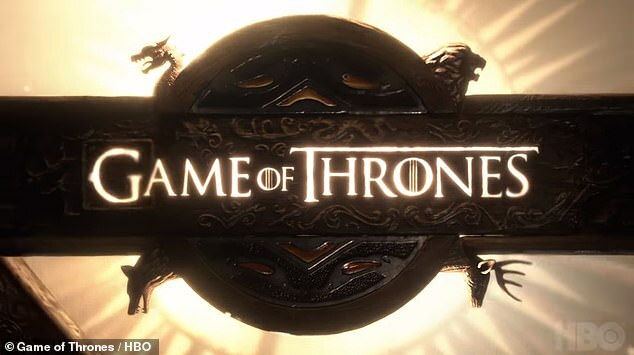 Game of Thrones fans were surprised by new opening credits when the eighth series aired on Sunday night – and fans have pointed out the most intricate details. 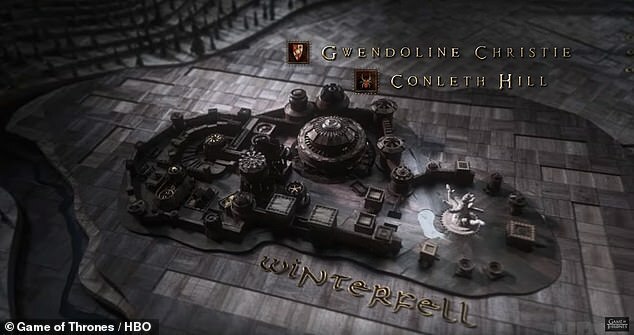 The new addition, which still featured the show’s iconic theme, showed the map of Westeros in much greater detail than in previous seasons. 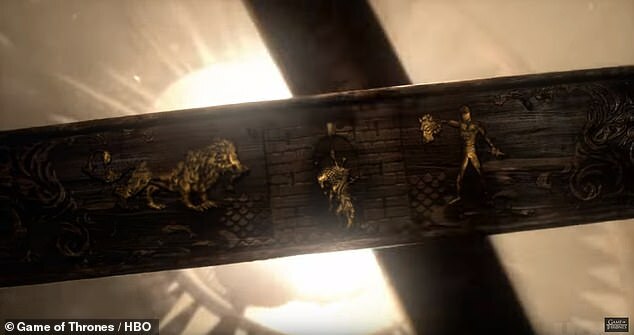 It also appeared to symbolically depict critical events from the fantasy drama’s past seven seasons, including the Red Wedding and the birth of Daenerys Targaryen’s dragons. 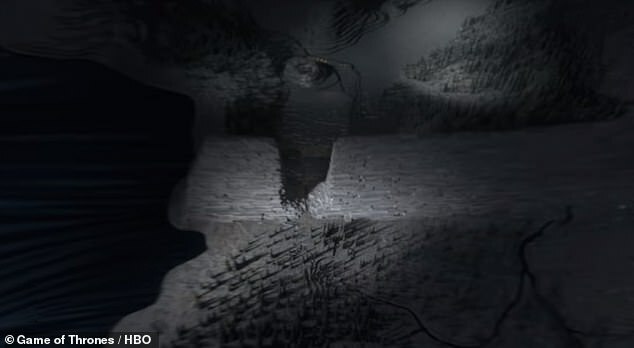 The lengthy opening credits have taken viewers across the map of Westeros since the show’s first season. 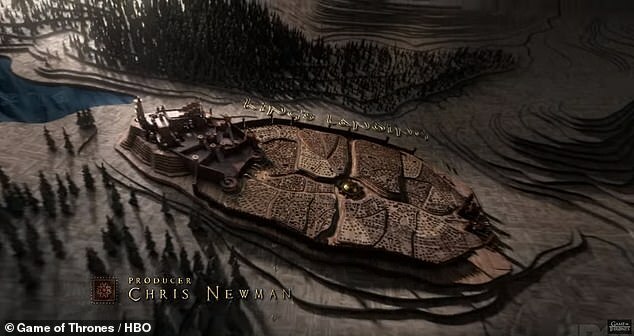 But, unlike in previous renditions, the season eight credits begin beyond the Wall – which has a huge hole blown through its left side. 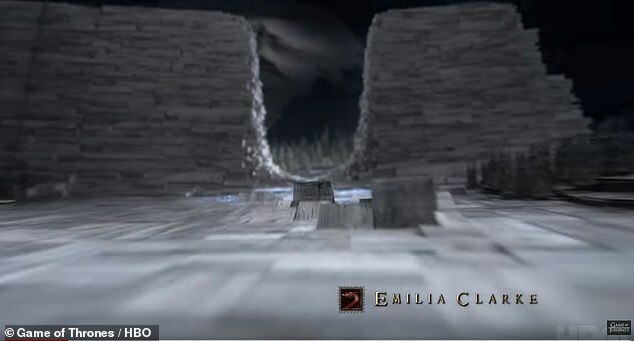 The credits then travel to new location Last Hearth – which is the is the ancestral home of House Umber – as tiles on the map turn blue underneath. 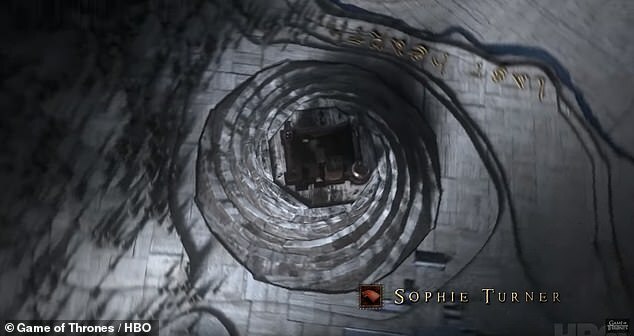 They then zoom across the map to Winterfell – instead of the usual Kings Landing – which proudly displays the Stark grey direwolf insignia on its roof. 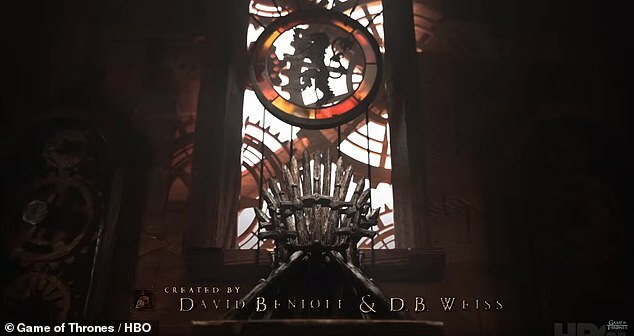 Viewers are then taken on an in-depth tour of ancestral seat of House Stark and through King’s Landing before the credits come to an end with the Game of Thrones logo. 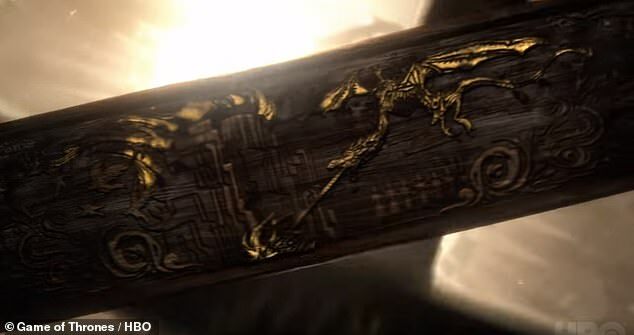 At the beginning, the credits show the symbol of a dragon breathing fire to the ground – which could depict a moment in season seven when the Night King burns down the Wall with his own dragon. 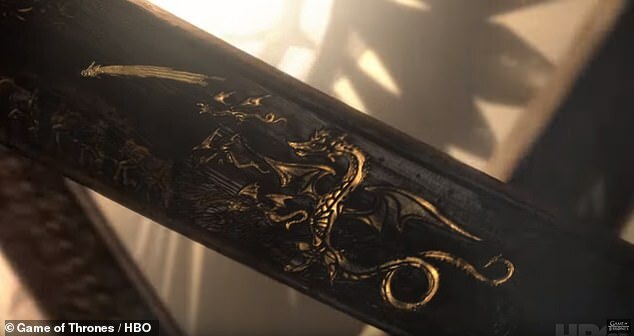 The birth of Daenerys’ dragons and season two’s Red Comet may also have been seen in the final set of symbols – four dragons and a comet. 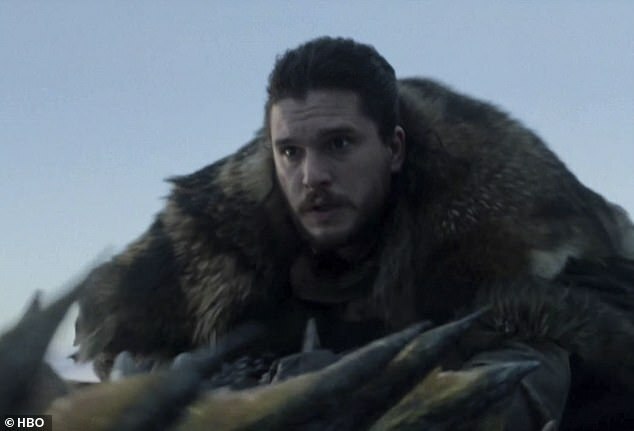 Posting time stamps to the video on YouTube, one user said: ‘The Red Wedding. 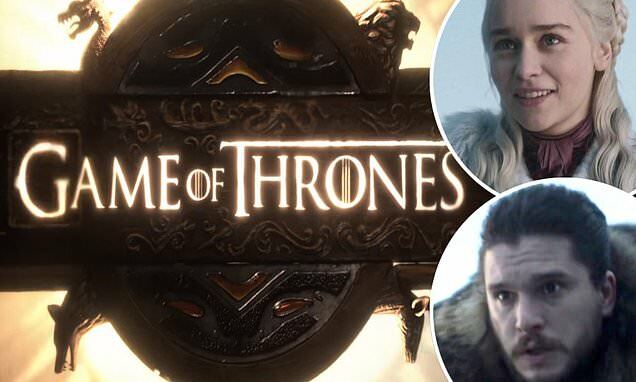 The Lannisters have the Tullys, and the Boltons betray the Starks. All of it happens under the two towers of house Frey. 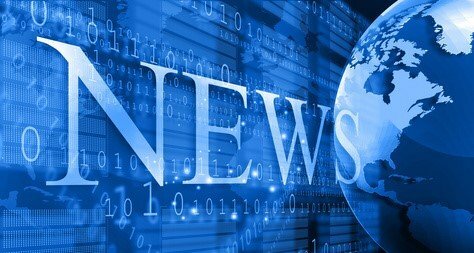 Taking to YouTube, one user said: ‘Even the smallest of details are there. 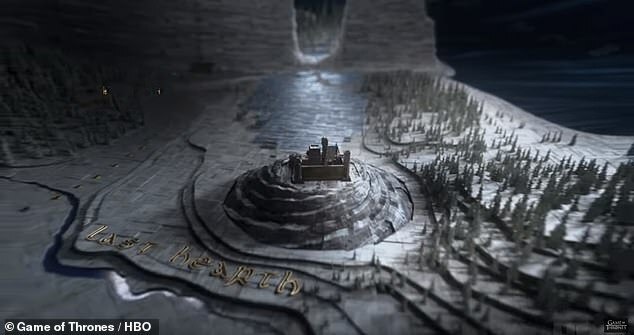 At 1:12 look at that courtyard map from season 7’. Another fan said: ‘OH MY GOD THEY’RE SHOWING DETAIL AHH I’M DYING ITS A NEW INTRO’. 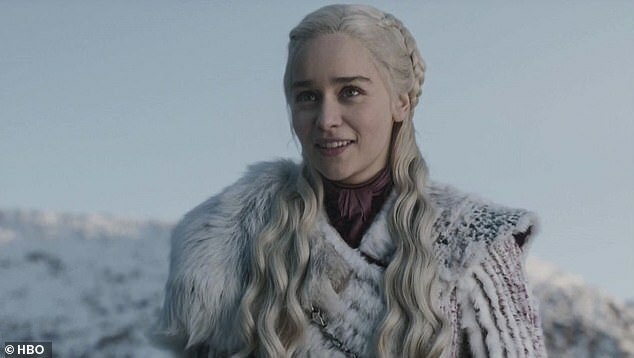 ‘Who else was freaking out when they saw the new intro? !’ said another.